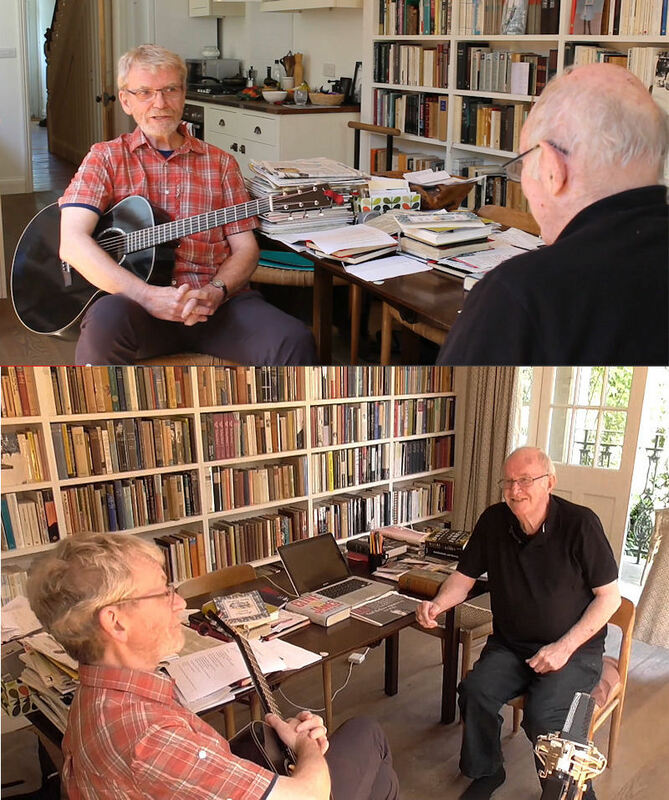 Last month, Pete visited Clive at his home in Cambridge and, with Simon Wallace's help, video-recorded over an hour's-worth of conversation in Clive's kitchen/study. They've now assembled from that session an 8-minute feature consisting of chat interspersed with new video clips of songs from the The Colours Of The Night, performed live in Simon's studio. Pete has posted the video on his YouTube page. We look forward to more excerpts from this session in due course.